ENTRY #4 : WHERE DO WE GO FROM HERE? You will read about not one but three records in this article. Let’s figure out what drove us from one record to the others, starting with an artist and a label you might have read many times about on this site : one of our biggest musical heroes, Steve Beresford, and the beloved French label Nato. Nato & Steve Beresford – it seems like I wrote about this combination many times before (I did), yet, it seems that each record has its own incongruity. On this vintage-looking 10″, we can hear another collaboration between Beresford and brilliant lyricist Andy Brenner (who gave us Pictures of Departure), but the musicians are not yet in the mid-1980’s fashion universe that gave birth to the now famous Dancing The Line album (the opus magnum in the Brenner-Beresford collaboration cycle). Instead, the whole album is a tribute to Hollywood‘s super star Doris Day. While most of the songs on the album are more-or-less dubious covers of songs that made Doris Day famous – some of them, sung by a nonchalant Beresford, somehow sounding like a mix of Chet Baker and Randy Newman, are very pleasant – I Was There is a composition by Brenner-Beresford. This melancholic and bittersweet ballad lead by a drum machine gives a witty tour of the many achievements in the life of Doris Day. Even if you’re not familiar with Doris Day’s career, I’m sure that hearing Beresford talking to an icon of his teenage years can bring a little tear to your eyes. What took us from Steve Beresford to this obscure little experimental record from Switzerland ? Steve Beresford and Victor Bros, aka Fizzè probably never met, but it’s highly plausible that the Swiss musician listened to Beresford‘s various bizarre musical projects. Listening to I Was There and Adieu side by side artificially highlights a kinship between the two musicians. Well, not that artificial, actually. We could have listened to another Beresford-related album – anything from Alteration’s My Favourite Animals to General Strike‘s cassette, for example – before playing Fizzè‘s Kulu Hatha Mamnua : it would still be obvious that we’re in the same world. Pop-not-pop ballads, toy music, eerie percussions and drum machines, an overall mix of bittersweet melodies and menacing atmospheres. By the way, Kulu Hatha Mamnua, is Victor Bros‘ only solo album in this vein. After this record, he mostly dedicated himself and his studio (Mensch studio) to reggae, recording music with the likes of Robbie Shakespeare, Lee Perry and Dennis Bovell – just like Steve Beresford, who collaborated with Bovell on Return of the Giant Slits, for example !!! 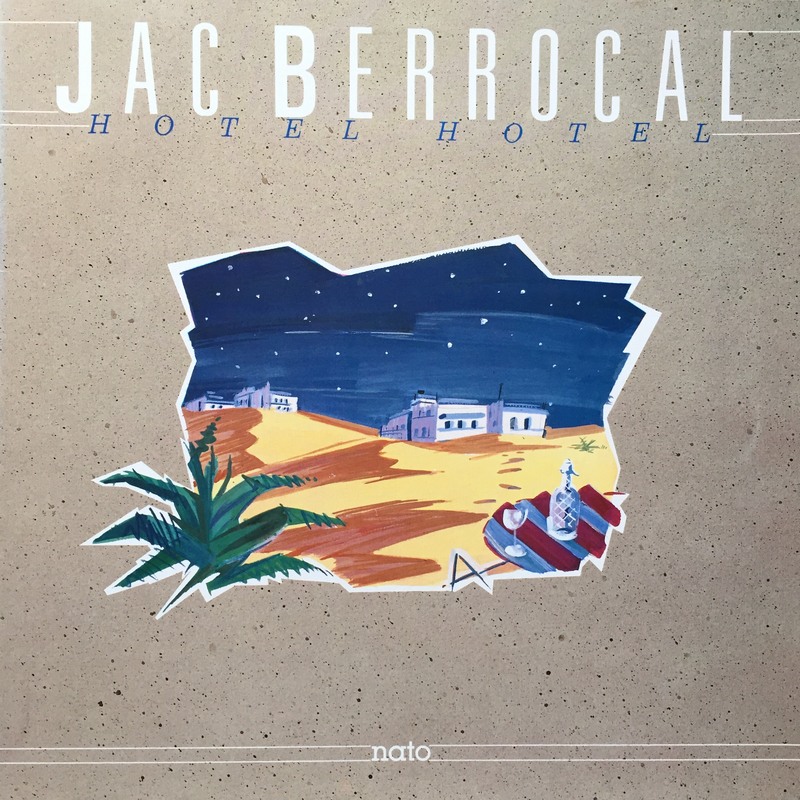 Released the same year as Fizzè‘s record, Jac Berrocal‘s third solo album is one of the few absolute masterpieces on Nato, outstanding from beginning to end, incredibly coherent in spite of the many genres and styles Berrocal restyles on the album. I won’t introduce Jac Berrocal in a couple of lines: all I can say for now is that he’s been a hero of many avant-garde scenes, crossing the path of Beat Generation wizards, Free Jazz legends, etc. and still doing his thing. But I think I’ll need to deal with this task soon… I’m not teasing anything, I just feel I’ll have to do something about Berrocal one day, but you can already have a look by yourself.